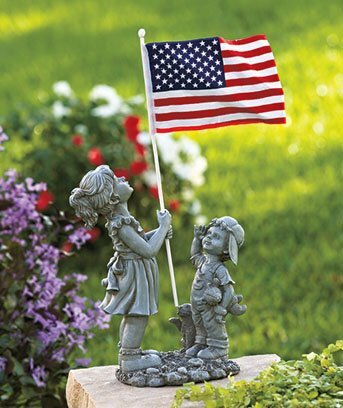 Honor your country and those who served in the military by displaying this Patriotic Kids with Flag Statue. The girl holds the American flag while a little boy and his dog salute. Cold cast ceramic and polyester. Approx. 20″ x 10″ x 5-3/8″.